THE SELAND WETSUITS HAVE ARRIVED FROM SPAIN! CALL OR EMAIL US TO ORDER YOURS. 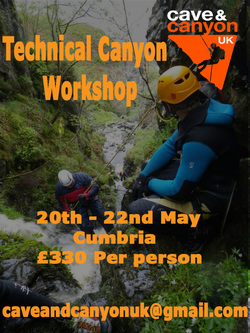 Our next Technical Canyon Workshop is available for booking. The course is a three day course running from 20th – 22nd May. If you are looking for an in-depth course that will equip you with the skills and knowledge to canyon safely, this is the course for you. We are passionate about teaching best practice!